← Stylish Blogger – Moi? I’ve been thinking a lot about shapechangers over the last few months. I’m trying to refine the villain in my current novel, and I really want to give him shapechanging powers, but he needs some restrictions. Presumably, a villain with an unlimited ability to change his form instantly and at will could never be caught. That would be a different story than the one I am writing. 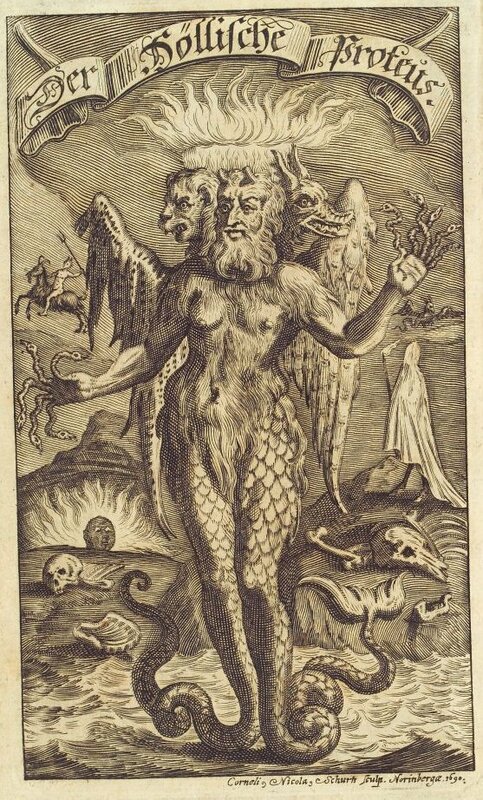 The figure of “The Shapechanger” has fascinated me since I heard John Barth read his story, “The Menelaiad” four decades ago. I have never forgotten that tale or several related stories which I will discuss in future posts. “The Menelaiad,” was published in Barth’s collection of short fiction, Lost in the Funhouse, in 1968. English majors love it as “metafiction,” writing about writing, but what really caught me is the “simple” image of a man who wrestles a shapechanger and can never again be certain if his life is really unfolding as it appears, or if he is still engaged in the wrestling match. Barth was fascinated with “frame tales,” stories within stories. A classic example is The Arabian Nights. Scheherazade tells stories with multiple characters who each tell their own stories, often with people within those stories telling stories. Barth claimed that in his search of world literature, he never found a story that went deeper than five levels, so he decided to write one with seven. He began with an episode from the Odyssey, which has plenty of shapechanging and frame tales as it is. Luckily for Menelaus, Eidothea, the daughter of Proteus, the Old Man of the Sea, falls in love with him, and relates how he may win sure and certain advice from her father who does not like to dispense such information. Barth has a field day letting Menelaus tell the tale of conversations with different people at different times – when someone related what someone else related about what someone else related, he relates. And yet, for all the tour de force writing, the central image of the tale is like a koan that stays with you. While holding on to Proteus, Menelaus realizes he can never again be sure that Proteus has not changed into Menelaus holding Proteus, and if so, what or who is he? All he can know for sure is that he is a voice asking who or what he is. There is a classic Zen story of a man who dreams he is a butterfly. When he wakes, he wonders if he is a man who dreamed he was a butterfly, or a butterfly dreaming he is a man. It’s easy to flip the page and forget about that particular story. It is harder or even impossible to forget Barth’s “Menelaiad,” once you make the effort to wade through some of his bizarre invented ways to use quotes in ways they were never designed to be used. “”””This is frustrating!”””” he said, she recounted, he told me, I say. I’ve always suspected that Proteus predates the Olympian pantheon of classical Greece, for what could be more antithetical to the ideals of clarity, order, and rational philosophy than a shapechanger? There really is no character in mythology more dangerous to any kind of fixed worldview than one who can plant the seed of doubt at the core of awareness. “Is this really true?” “Are things really as they appear to be?” The moment consciousness really and truly begins to entertain questions like these, the wrestling match has begun. NEXT: A ShapeChanger in Faerie. This entry was posted in Myth, Stories and tagged Myth, postaweek2011, short stories. Bookmark the permalink.